Earlier this year the 82-year-old author of 14 books of short stories declared her intention to stop writing, stating that her most recent book, Dear Life, would be her last. “I’m amazed and very grateful,” she said in a statement read by her longtime editor, Douglas Gibson, Thursday morning. Your new collection of stories, “Dear Life,” which came out this month, includes several narratives in which women in some way shake off the weight of their upbringing and do something unconventional—and are then, perhaps, punished for it, by men who betray them or abandon them at their most vulnerable. It happens in “Leaving Maverley,” “Amundsen,” “Corrie,” “Train,” and other stories. Even the aunt in “Haven” pays a price for a seemingly minor rebellion against her husband’s dictatorship. Does that trajectory seem inevitable to you—at least in fiction? 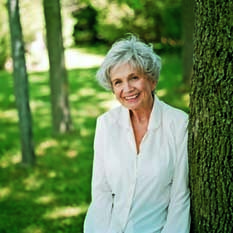 That Alice Munro, now 81, is one of the great short story writers not just of our time but of any time ought to go without saying by now. This new volume — her 14th, not counting a collection of selected stories that came out in 1996 — is further proof of her mastery, and also a reminder that unlike a lot of accomplished short story writers — unlike William Trevor, say, her only living rival — Munro did not hit a characteristic note early on and then stick with it. Over the years her work has deepened and enlarged. 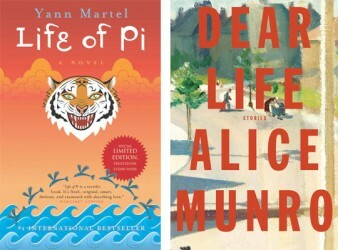 At the end of “Dear Life” is a suite of four stories that Munro says are “autobiographical in feeling, though not, sometimes, entirely so in fact,” and she adds: “I believe they are the first and last — and the closest — things I have to say about my own life.” They seem to me as good as anything she has ever done, but also to strike out in the direction of a new, late style — one that is not so much a departure as a compressing or summing up of her whole career.